Browse, discover and work with Spark AR experts from around the world. 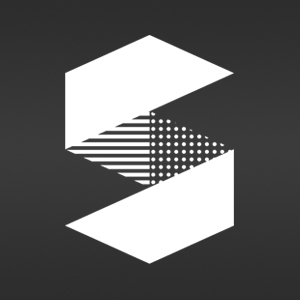 The Spark AR Partner Network is a global community of augmented reality producers, from freelance creators to established companies. Our partners are unified by their passion for AR, expertise on our platform, and an enthusiasm for bringing your AR vision to life. We are creative innovators and digital technology experts that provide 360 degree solutions to agencies and brands. True doers and makers, we have 15+ years experience in solving complex challenges in our world combining creativity, strategy and technology. R&R Partners is a full-service agency that uses innovation to develop amazing experiences for all to love and share. Seerslab is a leading AR technology and content platform company, and our AR solution is integrated into Samsung Galaxy mobile phones allowing users directly consume our AR content on embedded default cameras and also utilized by some of leading mobile apps. 3DAR is an Animation, AR + VR, EXPERIENTIAL and VFX producer, with more than 15 years of trajectory. Nurished by a great amount of artists, always seeking to be on the industry vanguard, on the art front as well as the new tecnologies that arises everyday. Part IV is a digital marketing agency fusing storytelling with technology to create meaningful, entertaining, and impactful connections across the galaxy. The Mill is a creative technology and VFX studio collaborating on projects for the advertising, gaming, film and music industries. We pride ourselves on building partnerships based on creative excellence and cutting-edge technologies, with the world’s leading agencies, groundbreaking directors, creative firms and visionary brands. VZLAB's passion is to combine new technologies and narratives to develop brand experiences, impacting the public through innovative, creative, and provocative cross-platform projects that positively change the perception of customers about products and services. More Than Real deliver end to end solutions applying exponential technologies such as virtual reality (VR), augmented reality (AR) and artificial intelligence (AI). We are Augmented Reality! We augment the world around you harnessing the power of your smartphone or tablet. Interactive filters can track the user’s position and facial gestures to overlay a digital filter. Additionally we can place interactive 3d Objects in your immediate surrounding. This can allow users to explore your creations, products and concepts before they are physically available. 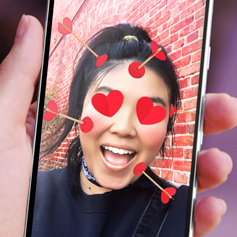 This results in interactive camera apps for users available via their Facebook messenger. Enlive Studio is a collective of international artists & engineers. We build AR experiences. 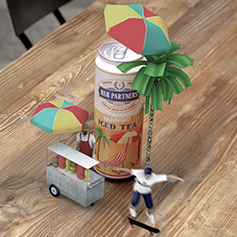 We provide immersive digital solutions to brands through for Augmented Reality & Virtual Reality. The most creative and productive Spark AR Studio producer in Asia. 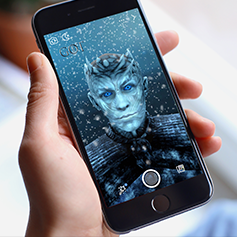 AliveNow is an award-winning digital and creative tech agency building top quality AR experiences globally for brands and agencies. Creating best in class fan experiences through revolutionary data, tech, and content. We turn insights into action. We deliver the best creatives for the best next to us for the best reason. We, "arara", standing for "AR lasting forever", has made the best achievements of "Spark AR effects" in Japan. The Spark AR Partner Network is a startup program open to companies and individuals alike. Learn how we're helping artists and developers grow their craft. How many Spark effects have you created?